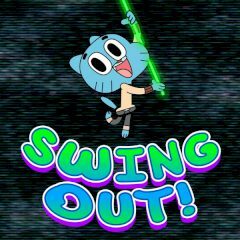 Gumball is going to sling and have fun. Click in the right time to land. Gumball is going to have fun with his friends. Release the rope when you are sure that landing is safe and get points. Collect bonuses to prevent failure.